Children can be pretty durable. They trip, they fall, they scrape their hands and knees—and then they get up and get back on their bikes or chase after their ball. So when something occurs that slows them down, you feel concerned. You don’t want your child to be in pain. Fortunately, good children’s foot care can easily deal with common pediatric conditions like Sever’s disease and get your son or daughter back on his or her feet quickly. Sever’s disease may sound serious, but it’s a relatively common and treatable heel pain that occurs in growing children, especially if they are athletes. The discomfort is caused by an inflammation in the growth plate at the back of the heel. During early growth spurts, the heel bone typically develops faster than the tendons and ligaments attached to it. This stretches out the connectors, pulling on the back of the heel. When your child is active, especially in sports that involve a lot of running around, the hard impacts and heavy use of the Achilles tendon aggravates the condition. How severe the discomfort is depends largely on how inflamed the back of the heel has become. Usually the rearfoot has some swelling and redness. 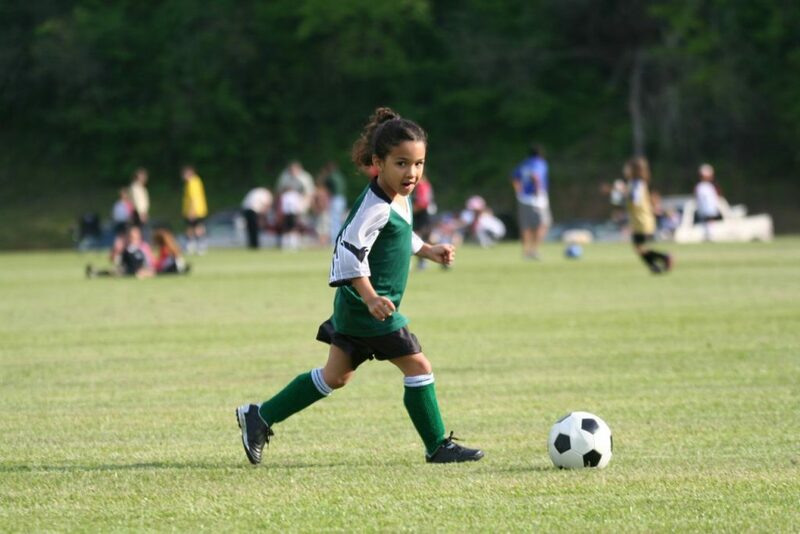 Your child may limp after being active or walking for an extended period of time. His or her foot may feel stiff and uncomfortable in the morning as well. Since this condition is associated with growth spurts, your child is most at risk for the problem in late elementary school through the early teen years. Usually the back of the foot has finished growing by the mid-teen years at the latest, eliminating the problem. Fortunately, you don’t have to wait for your child to outgrow Sever’s disease for pain relief. There are ways of managing this common condition. The most important step for relieving the rearfoot discomfort is to reduce the inflammation. Since activity aggravates the heel pain, this does mean it is critical to rein in your child’s athletics and letting the affected foot rest. This may mean a break from sports, or at least significantly less time running around. Icing the back of the foot regularly, but especially whenever your child is active, also helps lower inflammation. Your child may need shoe changes or orthotics to help cushion and support the heel when he or she returns to being active. Dr. Joel W. Brook, Dr. David R. Northcutt, Dr. Irene Arroyo and Dr. John Baca may recommend anti-inflammatory medications and physical therapy to help relieve symptoms as well. Although it may be hard for your young athlete to take it easy and not rush off to their next sport or backyard pick-up game, seeking help for his or her heel pain can help your child return to being active more quickly. The problem tends to only get worse and require more healing time the longer it is left alone. Instead of waiting, seek help from the children’s foot care experts at Dallas Podiatry Works, and take care of your child’s feet. Call either of our two offices—(972) 566-7474 for the Dallas location, or (972) 943-3323 for the Plano office—or visit our website contact page to reach us for an appointment or more information.